We’re fast approaching the scheduled release window for Warframe’s next open world expansion, Fortuna, which is due to arrive on PC sometime in early November. To take the hype to all new levels, Digital Extremes has created a “secret” Discord server called Solaris United, which is leading players on a wild goose chase around the internet to discover more about the lore of Fortuna. I’m not going to lie – some of Warframe’s background stories are quite grim. Looks like he means business. If you’re wondering what’s going on, Fortuna is the underground city on Venus filled with Solaris: a race of people that appears to be half-humanoid, half-machine. They’re heavily indebted to the Corpus, who are a bunch of greedy space capitalists determined to get their hands on any and all tech they can find. In the Fortuna expansion, players are supposed to help an underground rebel group of Solaris, called Solaris United, overthrow their (literal) corporate overlords. And this is where the Discord server comes in. The Solaris United server appears to have been set up last week, and announced its presence with a video from the group’s leader, an enigmatic figure called “The Business”. He calls for aid in fighting the Corpus, who have apparently been sending “repo” squads to do shady things to the Solaris whenever they miss a payment. Demons, do we all #LiftTogether?! Since then, The Business has been instructing server members to recruit more people, and has periodically shared pieces of “intel” and other rewards (such as in-game items, a code for which will apparently be shared once all the tasks are complete). The intel snippets provide new information on the lore of Fortuna, but there’s a catch. The information is often encrypted, and players have been required to de-code certain clues before others can be released. Yesterday, The Business shared a mysterious audio file that had apparently been encrypted by the Corpus. According to Reddit user Orpheusdeluxe, the file was originally run through several spectographs by fans on a separate Discord server (called ARGrakata), after which the fans realised there were “beeps of varying frequencies” hidden underneath the white noise. Next, players tried to figure out what these could possibly mean. One group tried to convert them into Corpus language and Solaris language using other spectograms, while another thought they might be coordinates for an in-game cave on the Plains of Eidolon (and even went on an expedition to find out). Eventually, a Discord user named MrToasty figured out the beeps correlated to phone dial tones (248597858877435833), which spelt out on a phone keypad form the words “bit.ly/statusshelved,” which in turn leads to this image. Quite the decryption process. 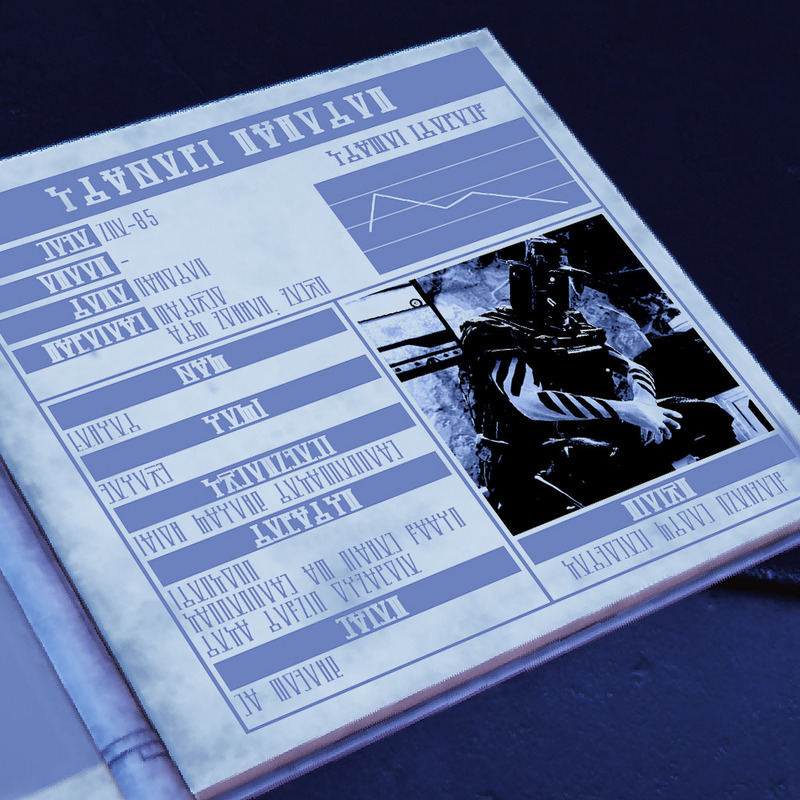 Along with another image shared by The Business on the server, the community translated the cards from Solaris language into English (thanks Vuthakral for the simplified images), revealing the records of two captured Solaris United members. One lists “partial repo” as punishment for a history of violence, black market connections and for being a suspected dissident. The Business has since explained exactly what this process is: apparently the Solaris need cybernetics in order to survive on Venus, which are (of course) supplied by the Corpus. When a Solaris worker cannot afford to pay back their debt or is disobedient, the Corpus rips out their cybernetics “limb by limb, piece by piece” until there’s nothing left. Grim. That’s what you get for thinking outside the box, I suppose. Perhaps worse still, if a Solaris worker is majorly out of line, they can apparently be “brain shelved”. This involves ripping out the brain and tanking it in a storage facility “until [their] friends or family can clear away [their] initial debt”. “When – and only when – your loved ones can afford to buy a new Rig to house your brain, you’ll return to a functional, conscious life,” concludes The Business. In any case, that poor Solaris worker apparently has no remaining family, and is therefore subject to “permanent brain shelving”. Yikes. Here’s the latest business report. Despite the dark subject matter, it’s fun to see Digital Extremes encourage fan engagement and role playing in such an unconventional way. It also seems like a brilliant idea for hyping players up for the Fortuna update – nothing gets the internet going like a riddle. If you want to become a part of the (not so secret) Discord group, keep an eye on the Warframe subreddit, where temporary invite codes seem to appear every day or so. You’ll have to be quick, however, as they “self-destruct” after a few hours.